Here are the best fun things to do in Bora Bora on vacation! If you have not yet experienced a tropical island, Bora Bora has everything to offer! Snorkel and scuba dive amongst the most colorful marine species and get up close with giant mantra rays. Sail on a traditional outrigger canoe or join a deep sea fish charter to catch that big one. 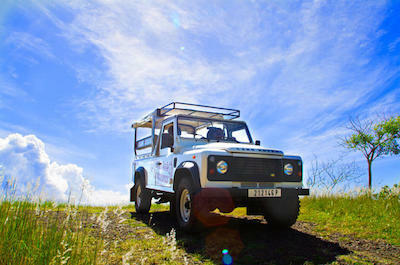 For land lovers, ride across the island on a 4WD or climb to the top of the iconic Mount Pahia. Historians will be thrilled to see old World War II cannons and food lovers can enjoy traditional barbecues and exotic island drinks. 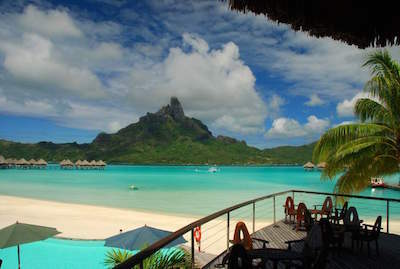 Read on for our choice of the best Bora Bora tours, activities, attractions and points of interest! Calling off-road junkies, these tours will certainly be up your less-travelled beaten street. Taking one of the many 4WD, ATV and Off-Road Tours in one of the most thrilling things to do in Bora Bora. 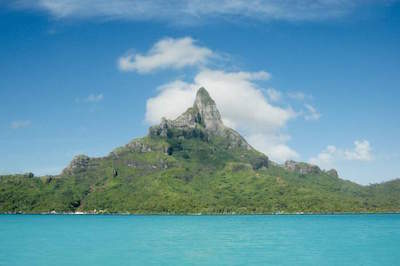 Join the 4WD Tour in Bora Bora and discover the incredible beauty of this island paradise. Check out amazing spots such as Matira and Faanui Canon, famous for the canons left behind by US troops after World War II. Down in the valley below you will visit a quaint workshop that creates the most wonderful sarongs and coconut oil. Then, head to Amanahune Bay lookout, as you circle the island via 4WD vehicles. As you zoom over the land and the warm air whips through your hair, admire the incredible views that surround you and be awed by the area made famous by the 1962 film, Mutiny on the Bounty. End the day sipping a glass of bubbly at the final viewpoint as the sun dips behind the horizon, a perfect things to do in Bora Bora during sunset. There are not many better things to do in Bora Bora than to explore the crystal clear waters and soak up the incredible tropical sun. Why not spend the day snorkelling amongst magnificent sea creatures including stingrays, sharks and wonderful colorful fish. One great Bora Bora activity is to grab a small group of sea-loving friends and enjoy the Bora Bora Lagoon Snorkel Cruise with Barbecue Island lunch. Cruise the crystal waters to some of the best snorkelling spots around the island, shallow in depth making it perfect to see the blacktip reef sharks and stingrays gliding through the water. Don't worry, your guide will show you how to interact with these gentle creatures and of course to snap some great pics with Mount Otemanu as your backdrop. Swim and snorkel in the water as your guide prepares a delicious lunch on the shore. You will certainly have worked up an appetite. Picture the perfect slice of paradise set in the waters off the shore of the most famous island in Polynesia. What are you waiting for? 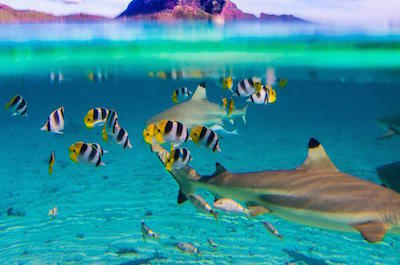 Visit the incredible Coral Gardens, one of the most magical things to do in Bora Bora. Coral Gardens, one of the best Bora Bora points of interest, can be found just below the water's surface a few meters away from the shoreline. Take a boat trip out into the lagoon and plunge into the waters near this thriving spot filled with all sorts of exotic marine life. Come face to face with some of the sea's most beautiful inhabitants including the butterfly fish, parrotfish, puffer fish, Picasso triggerfish, snapper, tang, trumpet fish, zebra unicorn fish, Japanese moray eels and even possibly a few stingrays and sharks. With such an extensive list, make sure you have both battery life and space on your underwater camera to snap as many magical pictures as possible! 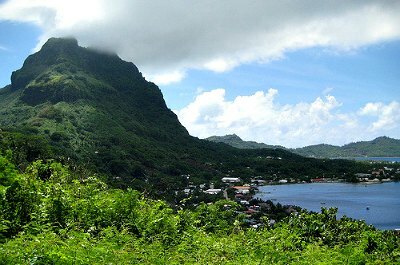 A dormant volcano lies in the distance, said to be extinct, stretching high into the sky with lush greenery blanketing its surface and gleaming tropical waters below. Even though no-one has ever successfully climbed right to the top of Mount Otemanu, climbing to the base is one of the best things to do in Bora Bora. Take a guided hike through the thick jungle to the base of this volcanic beast or enjoy the sights a little differently. With the Bora Bora Helicopter Tour, you will be able to get right up close to this amazing piece of nature lined with brittle volcanic rock that makes it impossible to climb. As you swoop down to the base below your guide will point out some historical artefacts including old, forgotten World War II canons left by US soldiers. Back on land, watch the sun dip behind Mount Otemanu creating a dramatic contrast between the pink sky and the ominous black mountain. Feel the cool sea spray on your face as you zoom high-speed over the fantastic crystal clear waters, a super thing to do in Bora Bora. 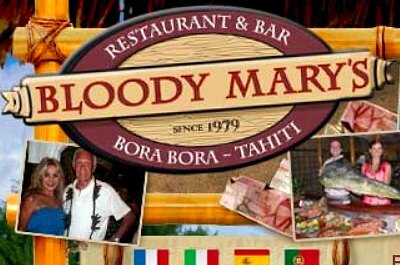 One of the best Bora Bora activities is to take the Ski Tour which includes a shark and stingray snorkel cruise and stops off for lunch at the iconic Bloody Mary's. 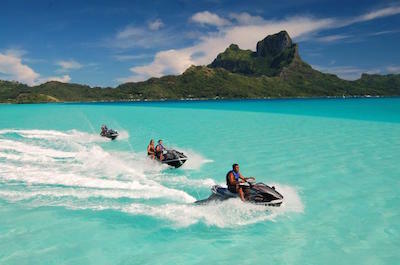 Set off by jet ski, following your guide as you navigate through the warm waters with dramatic scenery surrounding you. Your guide will share facts about the island and the different exotic creatures that call it home. Dock your jet ski, after you have tested out a few cool moves, for a refreshing swim and a demonstration on coconut husking. You will certainly have worked up an appetite, working on your jet ski skills, so heading to Bloody Mary's for a delicious burger will be right up your alley. Once your lunch has settled head back it is out into the water for some snorkelling with the cheeky stingrays and relaxed sharks. How about a day cruising tropical waters, sun basking on your skin, cocktail in a coconut in hand, soft music in the background. Are you in paradise yet? No, still at your desk? Well, you could be in paradise on one of the fantastic cruise tours on offer, a highly recommended thing to do in Bora Bora and here's why. Whether you are a fun in the sun type of person or a hopeless sunset loving romantic there is a tour in Bora Bora just for you. 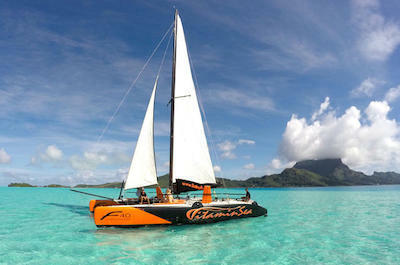 Spend a sunny day on a former racing catamaran, aptly named Vitamin Sea as you cruise along Bora Bora's crystal lagoon. Combine a sunset cruise with a romantic dinner or enjoy a sail on a traditional Polynesian outrigger canoe. This fun craft is limited to only 12 passengers for a more personal experience. A fabulous Polynesian style barbecue awaits at the end of the trip. Founded in 1979 by a colorful character from Poland called Baron Jerzy Hubert Edward von Dange, known as only George to his mates, the restaurant still boasts its authentic Tahiti style. It is located in a traditional hut with a thatched roof and open sides complete with sand floor and live band. Tiki torches and seating made from palm tree trunks add to the ambiance. With a delectable menu and a range of fruity cocktails you will certainly be well looked after and to tell you a secret, this restaurant has one of the greatest bathrooms out there. Why may you ask, well, the sink is a real waterfall, need we say more? A scene out of Robinson Crusoe is waiting for you! Tropical blue seas lapping sandy white shores, palms swaying in the warm breeze, coconut groves lining the beaches and exotic cocktails waiting to be sipped. Visiting Matira Beach is a fantastic thing to do in Bora Bora. The pristine beach leads into shallow waters making this a great snorkelling spot thriving with tropical fish and colorful corals. The shore stretches from Hotel Bora Bora all the way to Matira Point, one of the best Bora Bora activites, that extends into the lagoon. At low tide you can walk out into the ocean towards the coral reef, a fabulous experience! This beach has also been dubbed one of the best spots to watch the setting sun. You can experience this beach combined with a range of other activities by taking one of the many tours on offer including the Bora Bora 4WD Tour with lunch Bloody Mary's or on an exciting Jet Ski Tour or even combine the beach adventure with a shark and stingray snorkel cruise. Faanui Village, one of the best Bora Bora points of interest is found toward the north west side of the main island of Bora Bora overlooking gorgeous blue waters lapping gently on the shore. Historians will be thrilled to discover the remains of the US Army Naval Base built in 1942. In this rich cultural and historical area, you will see fruit plantations showing you the magic of the islands agriculture and the colorful streets filled by locals wearing pareos, wraparound skirts. Head to Farenua, a sacred place of worship. Built with large stones this is certainly bound to take your breath away. Another place of worship that cannot be missed is the light pink church iconic to the island, set against the backdrop of a lush thick green mountain. Visiting this spiritual place is a highly recommended thing to do in Bora Bora as this tour will certainly bring about a sense of inner peace and reflection as well as offering a deeper insight into the true culture of this fabulous tropical island. Dreams are best pursued by diving in head first. If you have a love for the sea and want to discover what is beneath its surface, scuba diving is certainly the best thing to do in Bora Bora. No matter what your experience level is, there is a tour guide waiting to hand you your flippers. For those of us who aren't quite at the "fish in the water" status take the Bora Bora Introductory Scuba Dive Tour. With a guide by your side, dive down 20 feet into the water and come up close to some incredible Polynesian marine life. For those more experienced divers, take the Bora Bora 2 -Tank Certified Scuba Dive tour where you will explore two amazing dive sites in the deep Polynesian waters filled with tropical fish darting around the reefs and possibly even a stingray or two. After 45 minutes under the water come back up to the surface and enjoy the rest of the afternoon soaking up the sun and sipping exotic drinks. What better way than to view one of the most amazing places on earth but from high in the sky. 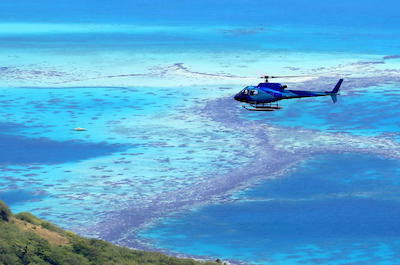 Lift off from the ground with one of the fantastic helicopter tours, a thrilling thing to do in Bora Bora. On the Bora Bora and Tupai Helicopter Tour you will have the opportunity to see the island from unique angles and heights and experience some of the top tours in Bora Bora. Circle the Bora Bora Island and swoop down low above the glistening blue lagoon. Soar above the sea to the side of Mount Otamanu, home to long forgotten World War II cannons left behind by the US Army. For the romantics, your pilot will fly over the heart-shaped island Tupai, known as the most romantic island in the world complete with sandy white beaches and warm, clear lagoons. With some luck, you might even spot a whale or two lazing happily in the warm water. Helicopter trips last for 30 minutes and you will be in the capable hands of a professional pilot. Sirius, Vega, Altair and Polaris. Mean anything to you? 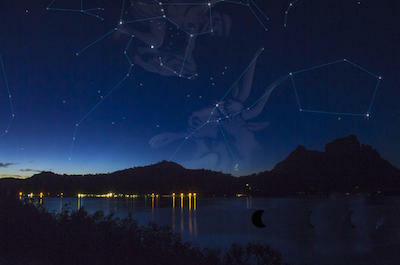 If they do, stargazing is one of the best things to do in Bora Bora by far. Spend a relaxing evening under the stars with a glass of bubbly and some captivating storytelling. Head out to a quiet little stargazing spot with a small group of no more than 12 people and let the magic begin. As colours of red orange and yellow splash the sky, the Bora Bora Mountains become a silhouette in the background. Travel by boat to a small motu as the stars flicker to life in the night sky. Hear all about the stories these glowing flecks have to tell and the long-term wisdom they shared with sailors to navigate to their destinations safely in the past. After a night of plotting magical stars head back to your hotel where a hearty dinner is waiting for you. Just when you think you are running out of things to do in Bora Bora, you will spot a fishing charter heading out into the deep waters! Join the crew for a 4 hour fishing trip to some of the greatest fishing spots in the region. No matter your experience level the Private Tour: Bora Bora Lagoon or Deep Sea Fishing will keep you entertained every step of the way. Choose between fishing in the lagoon or in the deep sea, depending on your interest. Your skilled captain will share tips and tricks with you on how to get the perfect catch and all the gear you need will be provided. 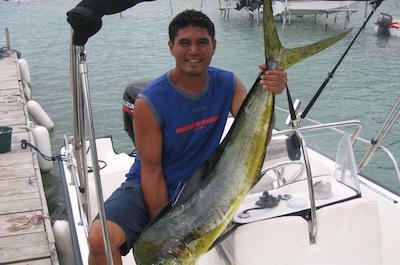 Try your hand in the deep sea and catch a barracuda or Yellowfin Tuna. Or, head to the Lagoon and try to catch a snapper or grouper. The best part of all is that your catch will be stored on ice for you to have a delicious freshly caught dinner later that evening, after snapping a few pictures holding your catch, of course! Spend a day sailing in the crystal clear waters of a tropical paradise. 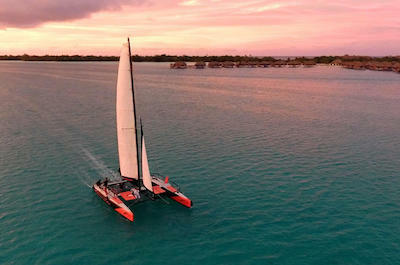 One great thing to do in Bora Bora is to take the Half-Day Bora Bora Catamaran Sailing and Floating Bar Experience Tour. Board the luxury catamaran called the Vitamin Sea and secure your spot on a sunbed atop the nets above the water. As the sun shines down and warms your skin the captain will switch off the engines giving you the perfect sailing experience as soft music drifts through the air. 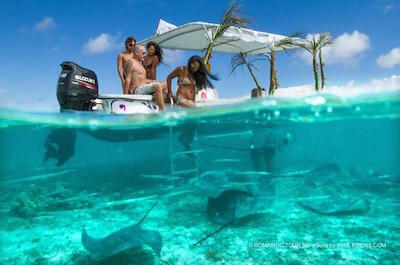 Sail close to the reef and snap pictures of stingrays gliding through the shallow waters below. As the day heats up, plunge into the cool water without a second thought. Swim over the floating bar alongside the catamaran, enjoy delicious snacks and fabulous colorful cocktails served straight from coconuts and decorated with exotic flowers. A perfect thing to do in Bora Bora to spend your dream island holiday. 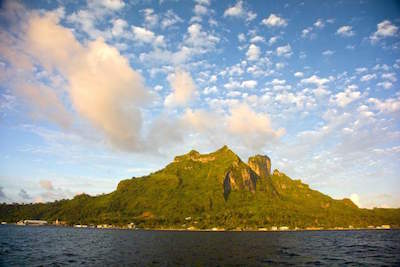 Bora Bora is known for its two iconic summits, Mount Ohue and Mount Pahia. These landmarks creating imposing sights that can be seen from anywhere on the island. Mount Pahia may be shrouded in mist or topped with a soft white cloud, either way it is a magical sight to behold. Taking a hike up Mount Pahia is one of the most challenging things you can do in Bora Bora and is recommended only for experienced climbers. Take a local guide with you who knows the landscape, you may get lost if you go alone. The trail is rough and rocky in places and also has some dangerous cliffs that you need to scale with the ropes that you will find there. The mountain is over 2000 feet high and offers stunning views from the summit that make the arduous climb worthwhile. Sit and admire the breath-taking scenery and enjoy a ripe papaya and a refreshing drink with your guide. A man-made underwater zoo without glass makes for an interesting day outing and is the next thing to do in Bora Bora. The Lagoonarium is located on a private motu, or small island, to the east of the mainland. 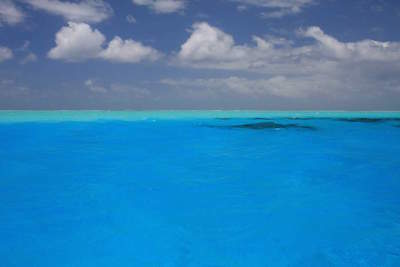 The waters are filled with a huge variety of marine life that live in a natural habitat. You can swim, snorkel, wade in the water or observe from the shore. The water is warm and shallow, ideal for all ages. Swim with turtles, rays and sharks if you are brave! There are loads of colorful fish to be seen as well as beautiful corals and sponges. Local knowledgeable guides will help you and fill you in on all you need to know about the creatures you are seeing. Then enjoy a traditional barbecue lunch and watch the sharks and rays have their lunch at the feeding session. If you want to stay overnight at the Lagoonarium there are bungalows to rent. You can also combine your visit with a fun canoe tour of the Island. Joining a tour to explore Leopard Rays Trench is an exciting thing to do in Bora Bora. The venue is located on the southern tip of the Island. 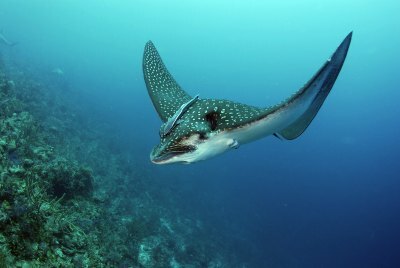 This site offers crystal clear waters filled with giant leopard rays, also known as Spotted eagle rays, that glide right up to you as you stand or swim in the water. They are friendly and calm, and quite at home with humans. The shallow, warm water makes it ideal for people of all ages and the soft white sand is easy to walk on. Your guide will educate you about the rays, their feeding habits, breeding pattern and more. Get up close, touch, cuddle and pet them, it makes for an unforgettable thing to do in Bora Bora. Make sure you take some photos to show off when you get home! Visiting Tupitipiti Point, located at the southern point of the barrier reef is an amazing thing to do in Bora Bora. This picture-perfect setting is one of the most famous dive sites, attracting visitors from around the globe. Put on your scuba diving gear and go for it! 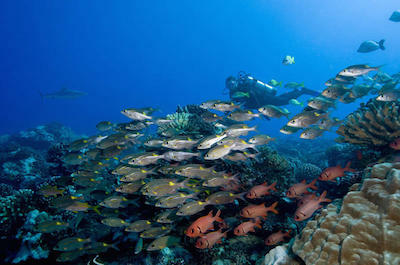 You will see colorful sponges and corals, beautiful marine fish, sharks, groupers, rays and parrotfish. The site is known for its unusual purple coral and has a steep drop off that experienced divers will appreciate. If you prefer not to dive, a local guide will take you out in a traditional outrigger canoe and you can soak up the idyllic setting from out on the water looking towards the land. This is by far one of the best things to do in Bora Bora.